Michael’s top writing tip: Before you start, have a rough idea of the beginning, middle, climax and end. Get the first draft down. Keep going until you do. The craft and joy is in the rewriting. Get your novel in the best shape you can by as many new drafts as necessary, editing and polishing before you send it out. Get a good independent assessment, irrespective of cost. Friends and family won’t/can’t tell you about the smallest of faults. Someone with no fear or favour will. Be kind to yourself. If something isn’t coming, let the world turn a bit then come back to the problem. 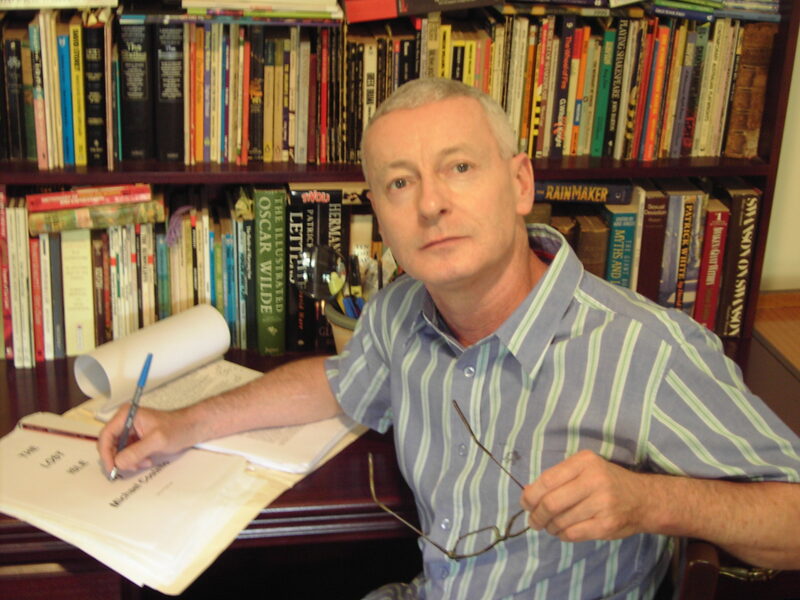 Michael Costello is an AWGIE winning playwright, television and screenwriter. His plays have been produced around Australia and New Zealand. Of his award winning play Royal Affair, Chris Mead, the Curator of the Australian National Playwrights’ Conference, stated “… rich, intelligent and seductive, (Michael Costello) writes with sagacity and wit”. He was commissioned by Sue Smith to write an original episode for her Close Ups series for the ABC and has received funding from the NSWFTO for a feature film. He is currently working on a new play and has two other novels in the works. Why do you write? I used to write as a child, and then gave it away when I joined the Public Service. Then at one stage I said to myself that I wasn’t going to get to 70 and regret not pursuing my writing. I went on part time work, did courses, got my skills up and went for it. I have had some success and no regrets. What would you be doing if you weren’t a writer? Painting. Pictures, not houses! What was your toughest obstacle to becoming published? To believe in the quality of my writing enough to self-publish rather than send off to various publishers and wait to hear back or be rejected because my novel wasn’t to their taste. I wasn’t prepared to throw away the years put into this novel. I backed myself and self-published. What’s the best aspect of your writing life? It is something pretty wonderful when the right words and ideas align. You come to understand that this is why you write. —the worst? Having to take out your editor’s scalpel and cut away favourite bits of plot and characters that slow down the narrative. You know you are doing the right thing, but it is hard to let go sometimes. You just have to be tough. What would you do differently if you were starting out now as a writer? I’d continue writing from an early age and not waste creative years by letting life and work take over. What do you wish you’d been told before you set out to become an author? Enjoy what you do. Of course there will be ups and downs and a lot of rejection along the way, but it will be worth it. What’s the best advice you were ever given? Have a number of projects going. When you finish a draft or rewrite on one, put it aside to filter through your brain and work on another. When you come back to the first project with fresh eyes, you’ll see the faults with clarity and sometimes the remedy is at hand as well. It’s 1985 and Pat returns to his small wheat town to settle his father’s estate. He recalls the events when he first moved there from Sydney as an eight year old in 1955 with twin brother Doug and his GP father. 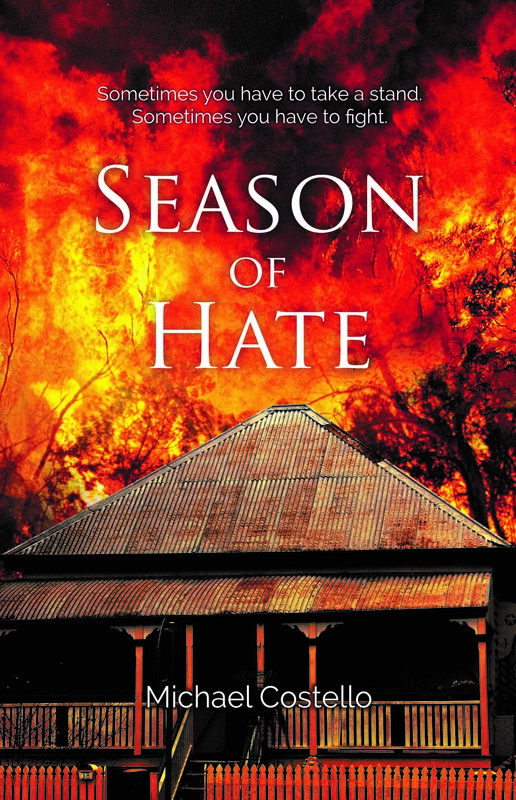 Season of Hate explores the friendship between Pat and Doug and Johnny, a mute Aboriginal teenager. In those first two years in their seemingly ideal world, the boys are exposed to the best and worst of human nature as they become aware of the undercurrents of discrimination and racial bigotry that erupt into violence. In particular, that one night where Pat’s own life is challenged. The night where one wanton act places the town’s very livelihood in jeopardy. The book is available here. ANDREW’S TOP CREATIVE TIP: If you love writing, then you must write. Whether or not you get published, and whether or not you make a dollar, is secondary. happiness is not an accident – it is a choice we make. What would you be doing if you weren’t a writer? I would be doing other things that I enjoy doing now – cartooning, painting portraits, presenting to corporations. What was your toughest obstacle to becoming published? Because I write books about happiness, publishers thought I needed to be a psychologist. —the worst? There is no downside. What would you do differently if you were starting out now as a writer? I never intended to be an author. Writing and illustrating books evolved from my interest in giving seminars and my love of drawing. I wouldn’t change anything. What do you wish you’d been told before you set out to become an author? Write only about the subjects that you enjoy. The writing that you love doing the most has the best chance of success. What’s the best advice you were ever given? Use simple language. Short words are better than big words. Edit and re-edit. How Life Works is available here. How Life Works It is about why the same things keep happening to you. happy people succeed more often. 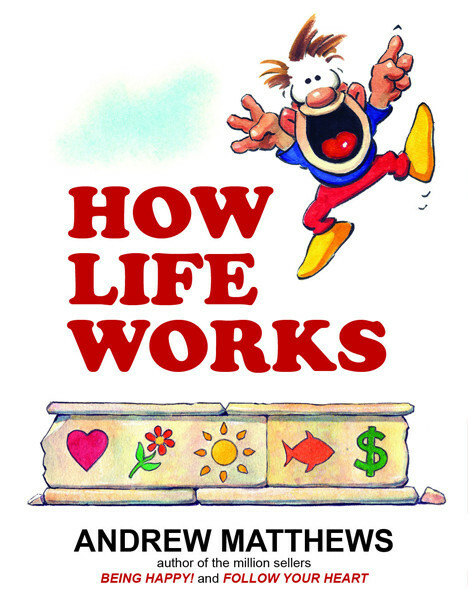 Andrew Matthews is one of the world’s most widely read self-help authors. 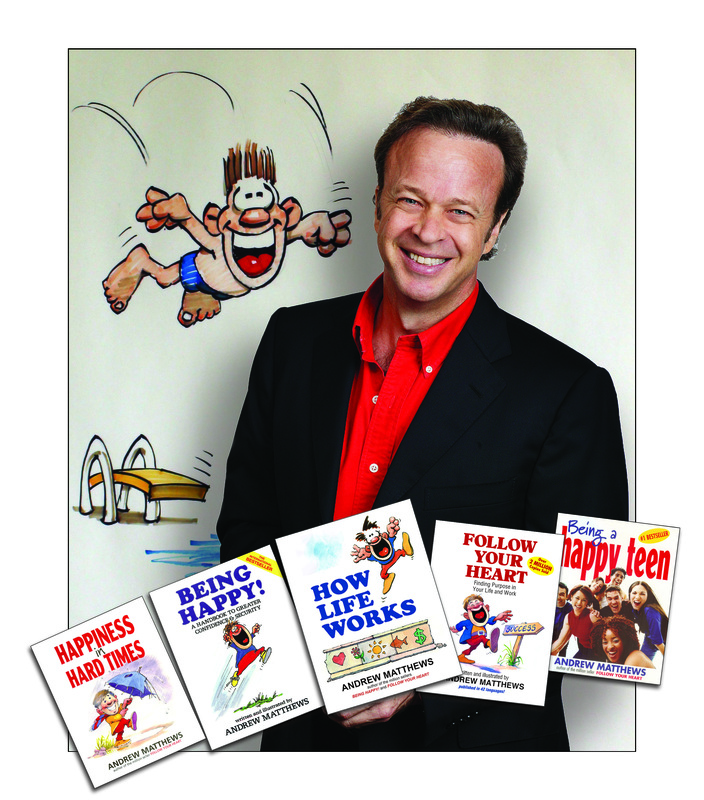 His books, including Being Happy!, Follow Your Heart and How Life Works, have sold over 7 million copies in 42 languages. Andrew illustrates his own books. Andrew is a popular international speaker and he has addressed over 1000 international corporations. He has appeared on 3,000 radio and TV programs on 5 continents. He lives in Queensland, Australia, with his wife and publisher, Julie. JENNY’S TOP WRITING TIP: Make up your mind, set aside enough time, and finish what you started. Why do you write? Because I got a book idea that just wouldn’t let go. 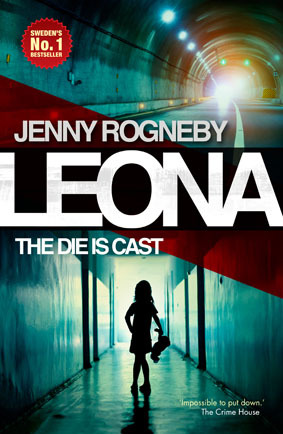 I was working as a criminal investigator at the Swedish Police Force in Stockholm when the idea about my main character, Leona, came to me. I decided to write it down and I’ve been writing ever since. I never thought about being an author, but now I can’t think of a life without writing. What would you be doing if you weren’t a writer? I’d probably continue my work as a criminal investigator. A very interesting and important job which I enjoyed a lot. 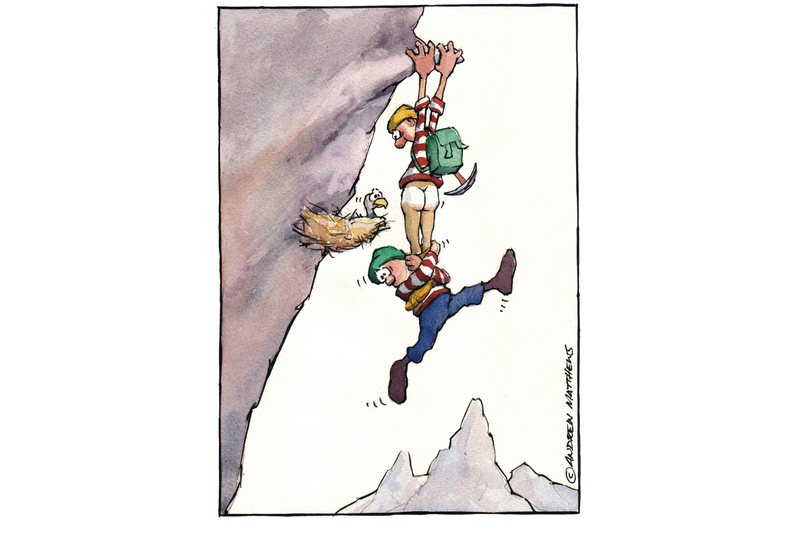 What was your toughest obstacle to becoming published? Nothing really. I’ve been very fortunate. Ten publishing houses in Sweden were interested in my script, which I heard is quite unique. My book will be released in 11 countries, so I can’t say I’ve had any difficulties being published. What’s the best aspect of your writing life? Many things. It feels great when I find a way to form a scene the way I imagine it in my head. When I find a way to describe it from a certain angle that works. Also when the story comes together and falls into place in a natural way. Love that. One of the best things about being a writer is that I’m able to work from anywhere in the world. I get a lot of inspiration just by observing people, seeing new places and different cultures. —the worst? To write a book is far more time consuming than I thought. I sometimes get frustrated about that since I have more book ideas than time. I try to accept that I can’t hurry the process. What would you do differently if you were starting out now as a writer? Nothing. My journey so far has been very smooth and my book has been a bigger success than I could imagine. What do you wish you’d been told before you set out to become an author? I wish someone had told me earlier that I had a talent for writing, then I would have started earlier in life. What’s the best advice you were ever given? To get a good agent. LOUISE’S TOP WRITING TIP: It’s hard when you start out. 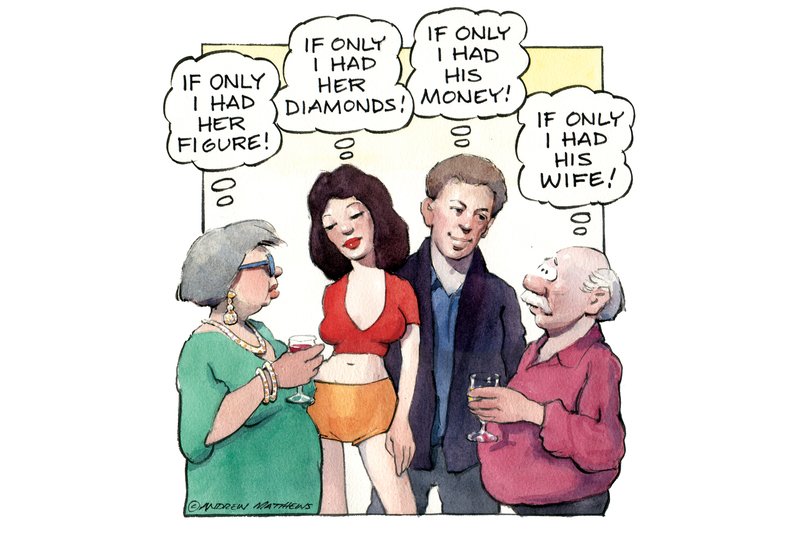 It’s hard to imagine how anyone would want to read what you have to say. But if you live and breathe it, then they will. Be true to your heart. Write from your soul. Write what you do best and don’t try to be everything to everyone or every age group. Oh, and from the publisher in me: always check the guidelines from publishing houses! Louise Park draws from a strong background in Education and literacy to produce her blockbuster bestsellers that include Zac Power and Boy vs Beast. She has taught primary school children of all ages, trained teachers in literacy education, created and developed successful reading resources to help children crack the reading code, and published books that have ignited such a love of reading in children that she has parents writing to her on a daily basis to thank her. 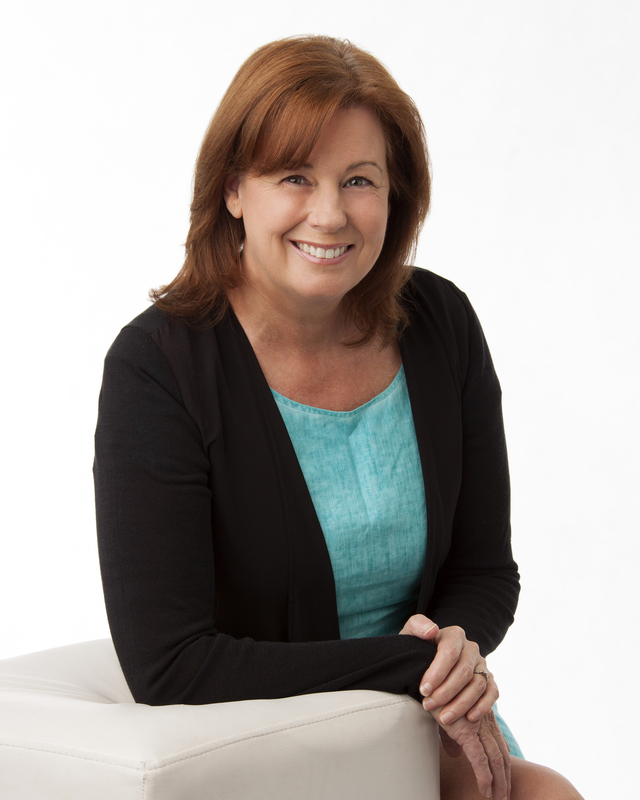 Louise’s books dominated the top ten slots on the children’s charts in 2013 when she held eight of the ten most coveted positions in publishing. She also holds position nine on the prestigious ‘10 best-selling books of all time in Australia’ (adults, children’s, fiction and nonfiction) with total sales over 3 million. Louise writes under her own name as well as the hugely successful pseudonyms: H. I. Larry, Mac Park and Poppy Rose. Find out more about Louise here. Why do you write? Oh, that incredible, unstoppable urge. That unrelenting need to give some random ideas that jumped into my head when I should have been sleeping, some shape. The desire to help children master literacy skills and the art of reading is a massive driver, also. What would you be doing if you weren’t a writer? Well, before I was a professional writer I was a children’s publisher. Before that, I was a literacy advisor to teachers. Before that, I was a primary school teacher. And of course, before that, I was that very child I write for now. I still publish books for big publishing houses alongside the writing business. So, if I weren’t writing I’d be making even more books for publishers; and curled up in my favourite spot, reading. Always reading, I am. What was your toughest obstacle to becoming published? Having worked in publishing and having written so many books on staff while I was there, the leap was quite smooth for me. I have been very blessed. The market gets tougher, though, and more Indie bookstores disappear. Then it gets harder and harder to sell books. Therefore, fewer books will be commissioned. That makes things tricky! What’s the best aspect of your writing life? Being able to work whenever and wherever I want. As long as I make the deadline it doesn’t matter. I love the Internet and being able to work from anywhere these days! —the worst? Knowing that I have to start that next manuscript and then I do everything else but making that exact start. Oh, I am SO good at that! Then, the pressure of deadline hits and I still haven’t made that start! I find the first paragraph of anything the worst. If I get it right, then, the rest just seems to flow. If not, I’m up the creek without a paddle! Oh, and people thinking that I don’t have a real job with real pressures and stresses. I’m just at home puddling around, aren’t I? BLEH! What would you do differently if you were starting out now as a writer? That’s a tough one! I have evolved along the way. Some people say they need that special space yet I still don’t have that for various reasons. Some people say they need their routines yet mine are thrown out constantly with print deadlines for book files for publishing houses. I’ve just rolled along with it all while I raised my gorgeous children as a single mum. I fit into all sorts of spaces and timeframes. I’m used to that. I don’t know how I’d go back and change it. It’s who I am now. I love my ‘warts and all’ history and I don’t really know that I would change any of it. What do you wish you’d been told before you set out to become an author? DO NOT LET the project you are most passionate about be left behind. If it is what you are most passionate about then it is your calling. Clearly! So, just do it! Find the time, make it happen, and you will be amazed! Across all fronts, I might say! Also, if your schooling or other experiences have persuaded you that you will never be a writer, DEFY THEM! Go on! What’s the best advice you were ever given? See the question above! But I got bogged down in paying bills and just coping day to day. And, hey, I know that’s’ part of life. We are all on a path, eh? That’s why you can’t give just any advice, willy-nilly. It needs to be individual and on an individual basis. 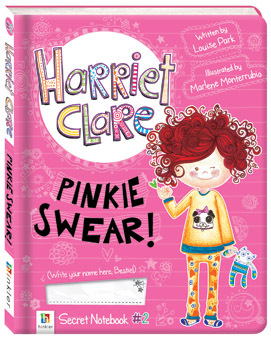 In this exciting new interactive children’s fiction series, best-selling author Louise Park invites readers to join the crazy, fun-filled world of Harriet Clare’s Secret Notebooks. Harriet is a normal everyday girl (just like her readers) who really cares for her friends, sometimes gets into trouble, worries a lot, but always tries to do the right thing. She loves skateboarding and writing in her notebooks, and needs a new BFF to solve her mega-huge and awesomely nutty problems – and help complete her notebooks along the way. As Harriet’s new bestie, she’ll ask readers for advice, to draw a picture of their own BFF, or even decorate a cool skateboard. It’s a visual feast of fun, enticing even the most reluctant readers with charming illustrations, illustrated text and sketching activities. Harriet also encourages problem-solving, self-understanding and empathy, making sure that her new friends learn as much from her as she does them! 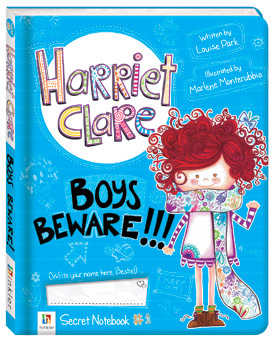 The first two books in the series, Boys Beware and Pinkie Swear (Hinkler Books, $14.99), are laugh-out-loud funny and relatable adventures for readers looking for a good friend like Harriet. They are available here.